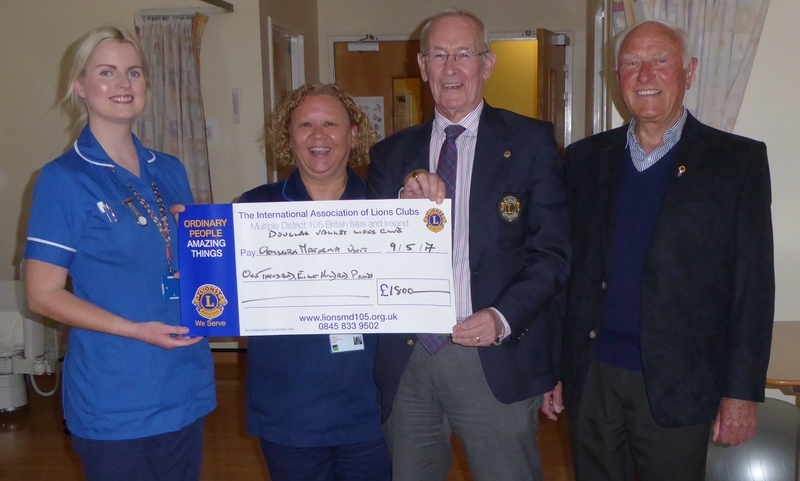 Douglas Valley Lions Club are helping relatives of expectant mums have a more comfortable stay when visiting Ormskirk hospital. The West Lancashire fundraisers gave £1,800 towards recliner chairs in the Maternity Assessment Unit for relatives needing to make extended stays. The donation will also allow Southport and Ormskirk Hospital NHS Trust to buy three further chairs at a discounted rate. Evan Jones, club treasurer welfare officer Harry Johnson presented a cheque for the money to Shirley Pennington, Clinical Lead Midwife for Maternity Assessment Unit, and midwife Carly McNally.